I have personally used coconut ever since I was a child. I grew up in South India with coconut trees in our backyard. Living by the ocean with a humid hot climate , we would drink coconut water for hydration and to replenish our electrolytes. My mom would oil my hair 2 to 3 times a week for hair growth and also for our skin to keep it moist. We used fresh coconut shavings in our foods and cooked with coconut oil. It was an integral part of the south Indian diet. Coconuts are loaded with nutrients-iron, magnesium and even vitamin C-but their high fiber and potassium content are especially important. Coconuts are also high in antioxidants, which mop up harmful free radicals and help prevent chronic disease like cancer and heart disease. Coconuts have a unique combination of fatty-acids especially medium-chain triglycerides (MCT’s), that the body can burn off quickly for an instant burst of energy. Whether you’re vegan, or just looking to cut out some cholesterol, coconut oil easily replaces butter in most baking recipes. Just substitute room-temperature coconut oil for butter at a 1:1 ratio (by weight). Add some healthy fats to your morning smoothie with coconut oil. Just a tablespoon or two will give you a boost of healthy fats. Oil pulling—an integral part of Ayurvedic medicine —is used to whiten the teeth, clean the mouth, and banish bad breath. To try it, swish liquid coconut oil around in your mouth for 15 to 20 minutes. Spit it out and rinse well when you’re done! Coconut oil makes a great natural lotion. Just rub a small amount on your skin to gently moisturize your whole body. Banish split ends and condition an unruly head of hair by adding coconut oil into your haircare routine. Before showering, rub a small amount of coconut oil through your hair and leave it in for 10 minutes. The worst thing you can do to a bug bite is scratch it. Instead, slather on some coconut oil. The oil forms a protective layer to allow the bug bites or stings to heal, and even soothes away that annoying itch. Since coconut oil is so moisturizing, it makes a great natural lip balm. Your lips will feel super soft—and taste like the tropics. Coconut oil is natural way to remove make without any harsh chemicals.Wiping your face and eyelids with coconut oil will gently remove your makeup and moisturize your skin. You can use warm wash cloth to help remove the make up. This miracle oil will even do wonders for your little ones if they’re suffering from diaper rash. Just smooth a small amount onto the rash, and watch it clear up! 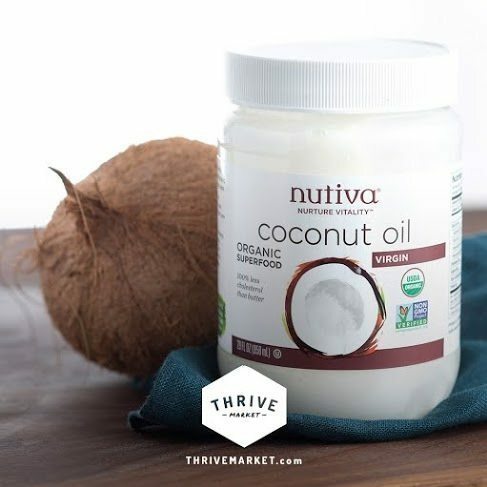 This Week Thrive market is offering all first time members a FREE-full-sized(15 ounce) jar of Nutiva, organic, fair-trade virgin coconut oil! 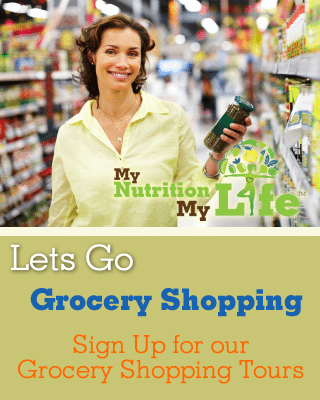 P.S: Fine print: There is a $1.95 shipping charge for the coconut oil. This still ends up being 13 cents per ounce, which is an amazing deal.